Deciding to make the move from the city to the suburbs can be an overwhelming choice. 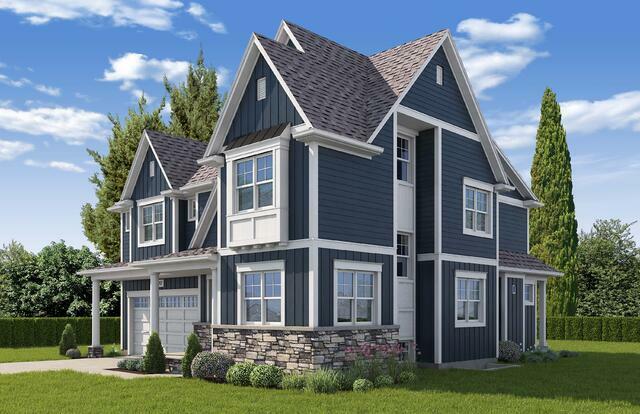 We've been excited to help this latest client find the perfect Hinsdale lot and bring this new construction coastal-inspired home to life, so their transition from urban to suburban living will be one they can all enjoy. OAKLEY ON CLAY This particular client first reached out to us well in advance of when they actually wanted to move. Planning at least 18 months out gives any client a great advantage. This couple was initially looking into a different town, but after exploring Hinsdale and us sharing this Clay St lot, they were sold - and their timeline moved up a bit. The ability to hop the Metra for a 20 minute ride to the city, be steps from Robbins Park, Madison Elementary and Hinsdale's vibrant downtown was appealing. Take all that and add in a 66 wide lot on a quiet cul de sac - it was hard to pass up. 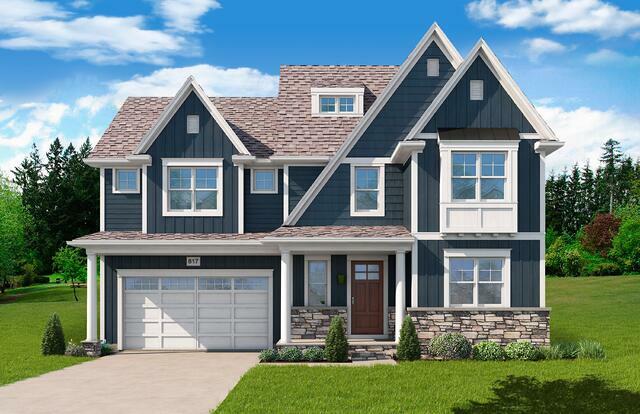 Since deciding on the lot, they've set off designing this charming exterior with our architect - and we've worked to provide them an interior floorplan perfect for their growing family. All while trying to keep the process simple as they juggle careers, newborns and life! The result was this eclectic coastal home with plenty of character on the outside that complements the neighborhood, and an extremely functional design inside that will grow with them as their family grows. The exterior of this home has a nod to classic coastal design with interesting uses of board and batten and shake accents. The navy blue exterior color has a timeless quality to it and allows the contrasting accent details to truly pop. At roughly 3200 sq feet, the floorplan is extremely efficient, fitting so many features into that square footage. This is always top of mind for us as we design - we know more square footage isn't always necessary (or possible). So we work closely in the architectural planning phase to understand the needs of our homeowner and deliver a plan that achieves that without much waste. This home features 4 BR Upstairs complete with an incredible Master Suite area. The finished basement incorporates a bar, game area and additional bedroom for guests. An area on the third floor is dedicated to a playroom for their small children. (Perfect place to contain those toys!) The main floor has a flowing layout with an upgraded kitchen opening to the family room. We can't wait for this family to begin to enjoy their very own dream, new construction home in this incredible part of Hinsdale. Are you looking to build your own Oakley dream home in Hinsdale or another area that we build in? Let us help play property matchmaker and find your ideal lot/location. Or check out this currently available lot on Hinsdale's beautiful Third St. Thinking about taking the plunge from city to suburb living but not sure what town is right for you? With experience building well over 100 homes in the western suburbs, we can talk everything from property value to community vibe and help you find the perfect town and property.